TURIN -- Alfa Romeo's return to North America has been delayed at least a half year partly because Fiat-Chrysler CEO Sergio Marchionne is not satisfied with the design of the cars that will lead the brand's comeback in the crucial market, people with direct knowledge of the matter told Automotive News Europe. The delay also is a serious blow to Alfa in Europe because without the Giulia mid-sized sedan and station wagon the automaker will have one of the weakest premium brand lineups in Europe. Alfa parent Fiat S.p.A. has pushed back the arrival of the Giulia models to mid-2013 from late 2012, the sources said. They blamed the delay on manufacturing and styling issues with the cars, adding that Marchionne was not pleased with proposals he has seen from Alfa's creative team in Turin. A Fiat spokesman declined to comment when asked about the delay. 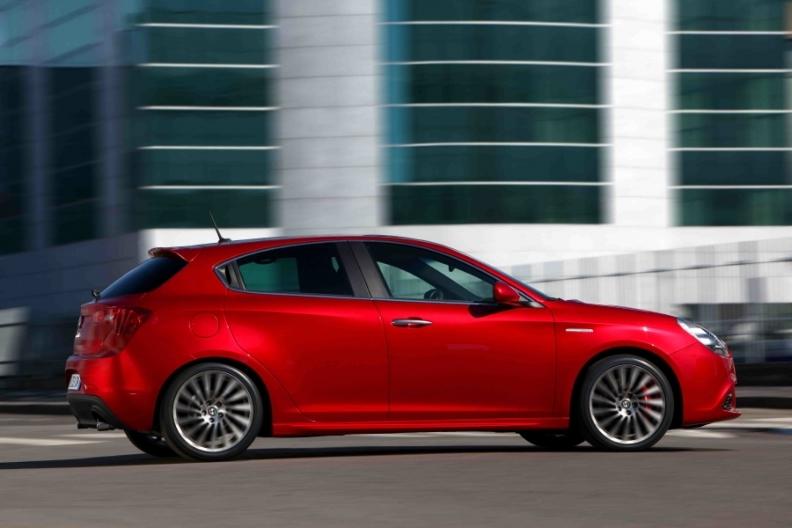 Alfa is counting on the Giulietta compact to account for 100,000 of its forecast 170,000 global sales in 2011. Another factor slowing the Giulia's launch, the sources said, is that Marchionne is not happy with the design proposals he's seen from Chrysler's U.S.-based stylists in Auburn Hills, Michigan, for the Giulia's two siblings, the replacements for the Chrysler 200 and Dodge Avenger, which are due in 2013. The timing of the three mid-sized models is linked because they will share a platform, powertrains and major subsystems. Fiat owns 25 percent of Chrysler Group and is working to integrate the Italian and U.S. automakers. With the Giulia stalled, the next all-new Alfa that European dealers will get is a compact SUV, which Fiat will start building at the end of next year in at Mirafiori plant in Turin. Code-named C-SUV, the model will be based on the replacement for the Jeep Compass/Patriot, which also will be produced in Mirafiori both for Europe and North America. Until the SUV arrives in late 2012 to early 2013, Alfa will have just three model lines to sell, the MiTo, Giulietta and 159.Even struggling Saab, with two sedans (the 9-3 and 9-5) and two SUVs (the 9-4X and 9-7X, which has been discontinued but still shows up in Saab's European sales results), has a broader lineup than Alfa. By comparison, Europe's best selling premium brand, Audi, offers 11 model lines. Because of its broader product lineup and more global reach, Audi reported worldwide March sales of 125,700 cars and SUVs. That is 11 percent more than Alfa's total global sales for all of 2010. A reason that Alfa's portfolio is so depleted is because at the end of last year it stopped making the four-seat GT coupe, 2+2 Brera coupe and the two-seat Spider roadster. The earliest any of those will be replaced is 2013. Philippe Houchois, head of European auto research at UBS in London, said Alfa has suffered from a lack of new products before. This has contributed to the automaker's huge operating losses, which Houchois estimates equaled 15 percent to 20 percent of the Alfa's annual revenues -- or about 300 million to 500 million euros a year -- in the mid-2000s. He believes Alfa's loses are now equal to about 10 percent of revenues – about 200 million euros – a year because its younger lineup includes the 1-year-old Giulietta and the 3-year-old MiTo. Fiat does not release financial results by brand and declined to comment on the accuracy of Houchois' estimates. Houchois said that the only way Alfa will make money in the future is if Fiat and Chrysler continue to increase their parts sharing, which will create more economies of scale. Despite its small lineup, Alfa aims to boost its 2011 sales to 170,000 from 112,000 last year. Alfa expects to sell 100,000 units of the Giulietta compact, 60,000 MiTo subcompacts and 10,000 159 mid-sized cars this year. Until the Giulia sedan and wagon arrive, Alfa will have to rely on the aging 159 sedan (shown) and Sportwagon to win customers looking for mid-sized models. Where will the Giulia be built? It remains unclear where the Giulia will be built. In a presentation to bond holders held on March 29, Marchionne showed a slide that said the Giulia sedan and wagon, which will replace the 159 sedan and Sportwagon, would be made in the United States starting in 2013. A year ago that slide, which was part of Fiat Group's presentation of its five-year strategic plan, showed the Giulia models being built in Italy and debuting in North America in late 2012 as part of the brand's return there. The Fiat spokesman now says the company still needs to decide where the make the Giulia. In December 2010, Marchionne said "I wouldn't be surprised to see an Alfa" come off the line at Chrysler's plant in Sterling Heights, Michigan. Sterling Heights, which was once scheduled for closure at the end of 2012, makes the 200 and Avenger. 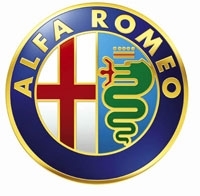 Alfa Romeo pulled out of the U.S. market in 1995 and has been mulling a return since 2000. 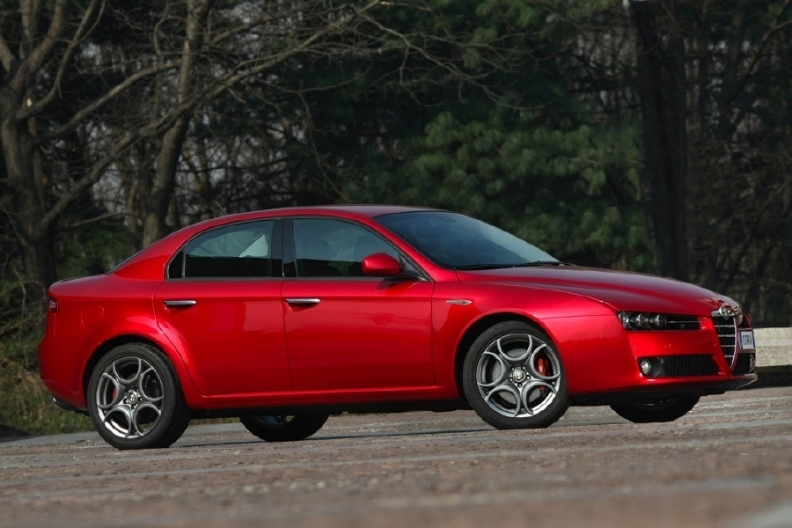 The sporty brand failed to meet Marchionne's global sales target of 300,000 by 2010. Alfa's new target is even tougher – 500,000 sales by 2014 – including 85,000 units a year in North America. Bernstein Research analyst Max Warburton doubts that Alfa will be able to achieve its sales goal. "The Alfa plan looks more and more overambitious by the day," he said in an e-mail reply to questions. "With just the Mito and Giulietta in the next few years, there's probably not a robust enough platform of customers and dealers to power up to 500,000 units. Conquest sales in Europe and the U.S. will need to be massive to hit the target." Other issues that Warburton sees are the massive product development costs that Alfa faces to expand its model range and the high price it will have to pay to build a U.S. dealer network. "Entering a new market means losing money for some years," he replied. "And we all know conquest sales even in existing markets like Europe are horrendously expensive to achieve."